1213 West 5th Street once housed a live bait shop and, most recently, a neon sign manufacturer. The building was in very poor condition, with old wiring, no air-conditioning and minimal plumbing. We took it down to the slab, repairing the foundation, adding all-new mechanical, plumbing, insulation, etc. 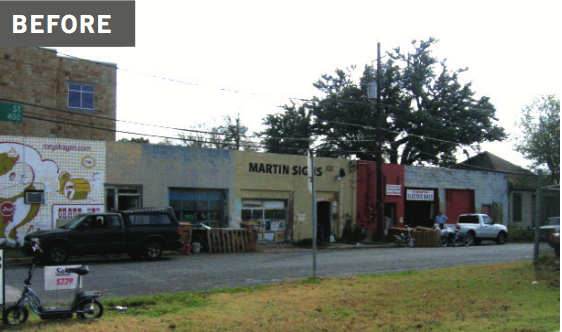 We kept the building one-story, transforming it into sleek retail space that is perfect for the active neighborhood.